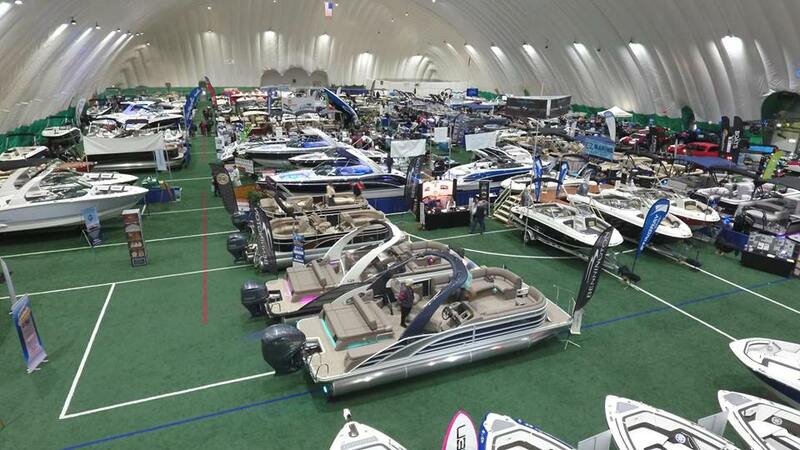 Despite the looming possibility of the Fed raising interest rates in recent weeks, it was another positive year for The Great Upstate Boat Show this past weekend. The leading Upstate NY boat dealers and lifestyle vendors put on some very impressive displays. Some attendees who’ve visited other shows, such as the New York Boat Show and Atlantic City show were vocal to organizers regarding how well the show layout was and how approachable the dealers were. People from all over New York and New England attend this event each year. Statistics show that folks from over 300 zip codes travel near and far to enjoy this particular boat show. Based on live interviews at this year’s show, some were attending as an effort to get more information about boating and the boating lifestyle; and others were there to take advantage of the selection under one roof paired with the aggressive pricing by dealers. “Each year, we try do a little more to improve the experience for customers,” said Joel Holden, Executive Director. This year’s show did have some unique offerings over past years, including an all electric pontoon boat featured by Hyde’s RV & Boats in Rexford, NY. There were also some unique vendors at this years show such as CV-Tec Marine Industry Careers booth and Freedom Boat Club, a neat boat sharing service headquartered at Queen Boat Co. on Lake George. All in attendance however, seemed to be leaving the gates with big smiles on their faces. It could have been the nice weather out there for a change. However, we’d like to think it was another job well done by all involved.